This article provides instructions on how to reset your password if you are having trouble logging in to your Freedom account. Issue: I need to reset my password. How do I do this? We're very sorry for the trouble! To reset your password, please follow the following steps. 2. 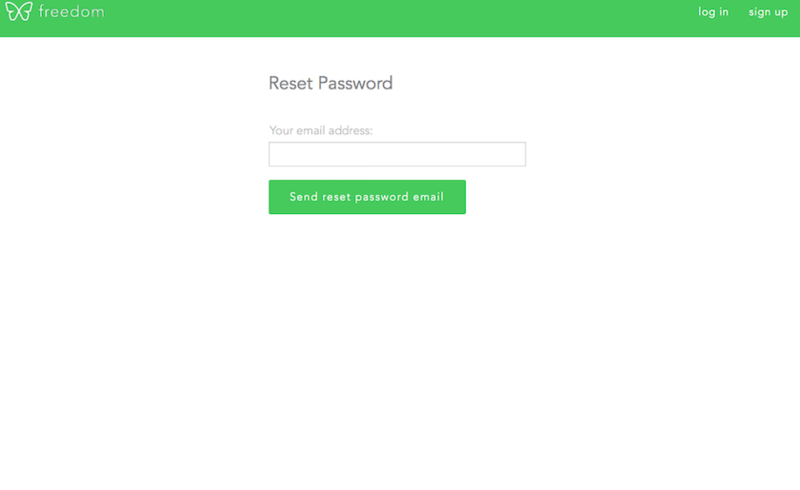 Enter the email address that you used to sign up for Freedom and click "Send reset password email". 3. Check your email for instructions on how to reset your password. If you do not receive the password reset email, please check your spam folder. If you're having difficulty resetting your password, please feel free to send us an email at support@freedom.to or chat with us via the green chat bubble in the bottom right corner of the page. We're happy to help!